Glitter dress will highlight her pretty shape and enhance her beauty. 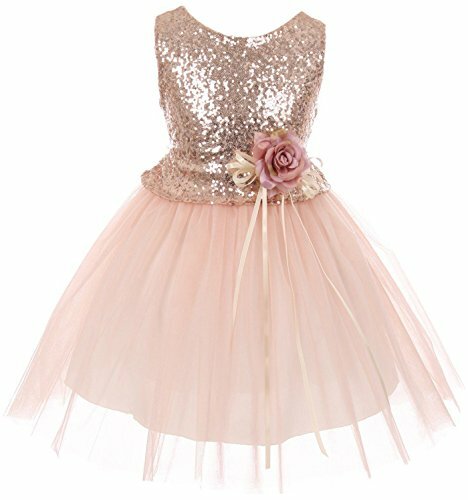 The dress comes with shimmery fitted sequin embellished bodice and a gorgeous flower ornament attached to the waist releasing an overlaid stunning skirt. Key-hole at back and tie sash. 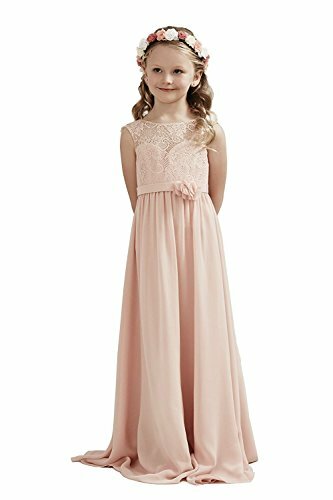 Great choice for flower girls and all kinds of events. Made in USA. 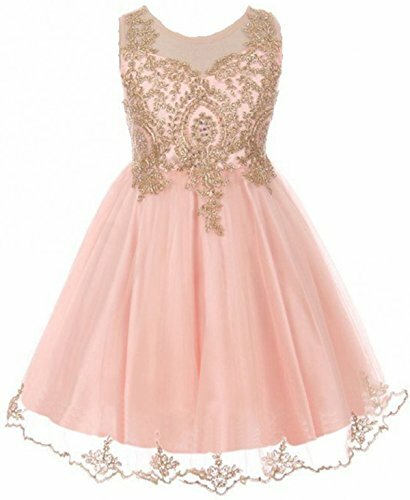 Glitter dress will highlight her pretty shape and enhance her beauty. 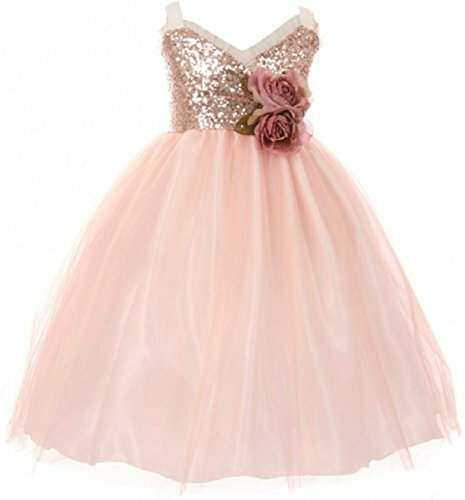 Gorgeous sequined bodice for a glam touch with tulle ruffle bias trim on top is adorned with nice flowers on waist leading to a multiple layered tulle skirt. Tie sash at back. 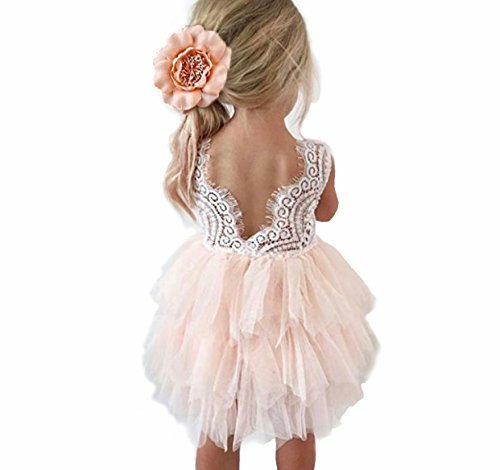 Great choice for flower girls and all kinds of events. Made in USA. Stunning Christmas dress engages with the season's fascination. 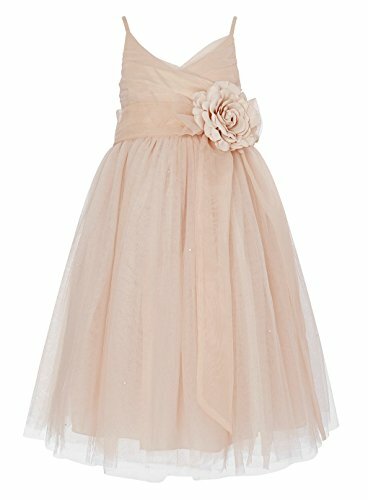 This dress is covered with a tulle material and decorated with a golden pattern that has a few gold rhinestones that match the golden pattern. 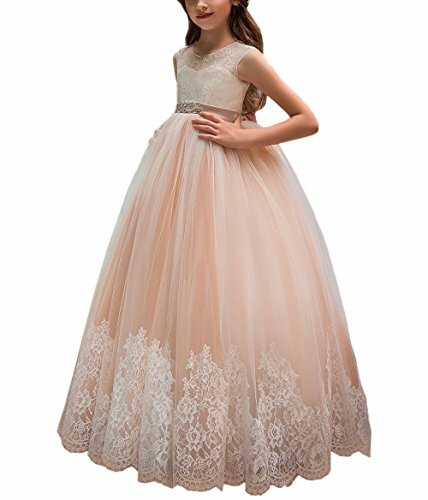 The material under the tulle material is a very soft stretchable satin material. Zipper back and ribbon tie. Rich color shade with sparkle accents makes this dress so fab. Beautiful two tone Tea-length dress with V neck ivory beaded lace top. 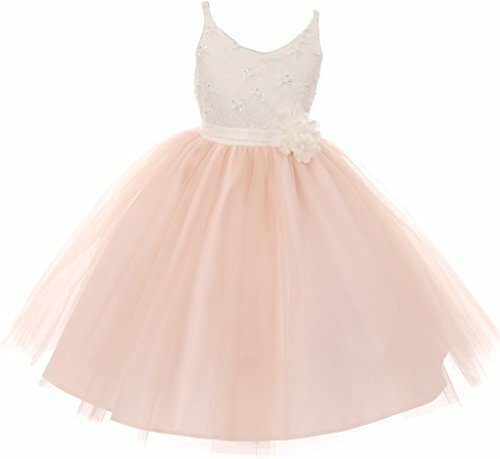 The waist has a detachable waist band with a removable ivory flower. True to size.